Joanne Vogel, who currently serves as interim vice president for student affairs at Southern Methodist University in Dallas, attended an open meeting 11 a.m. Wednesday in the University Club. Last year, when the Ebola virus terrified the United States, two students from Southern Methodist University worried they might be infected. The students had flown back to their campus in Dallas with two volunteer nurses who had shown signs of the disease. Amidst their fear, Joanne Vogel got to work. Vogel, as associate vice president and dean of students at SMU, asked the two students to quarantine themselves and coordinated the health center to monitor the students’ symptoms, the dining hall to deliver meals and other people to bring the students’ homework to them. On Wednesday, Vogel said a dean of students must be able to coordinate in the midst of crisis, a skill she said sets her apart from the other candidates competing for Pitt’s open vice provost and dean of students job. Vogel is one of four finalists for the position, which has been vacant since January 2015. Provost Patricia Beeson appointed Kenyon Bonner, former director of student life, last year to fill the position in the interim. 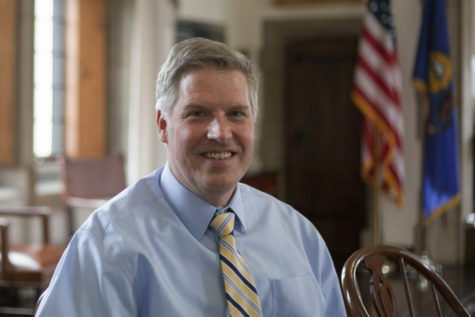 Bonner, who interviewed on Tuesday, and two other administrators in higher education are also candidates. During a public interview Wednesday morning, Vogel discussed student wellness — specifically in terms of sexual violence — students receiving value from the cost of tuition and integrating graduate student and undergraduate student life. 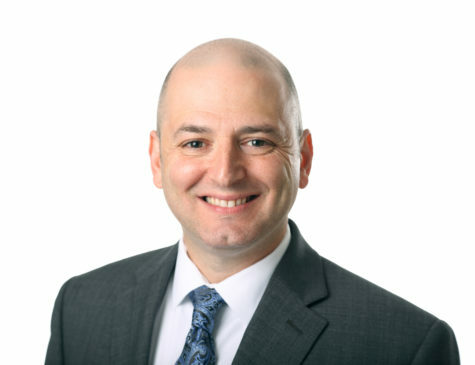 Before applying for the job at Pitt, Vogel served for 11-and-a-half years in student affairs at Rollins College in Florida and for 14 months at Southern Methodist University in Dallas. 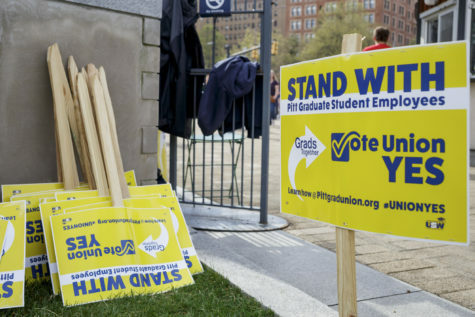 During her interview, which Pitt faculty, staff and two students — both members of the Student Government Board — attended, Vogel offered herself as a candidate with a deep understanding of the job. Vogel said she would know how to connect the role to Pittsburgh. Her vision for the dean of students role stretches deep into her training as a counselor and mental health expert. Aside from her bachelor’s degree in history and political science, Vogel holds a master’s degree in mental health counseling and a doctorate degree in counselor education and supervision. Wellness in all its forms — including both mental and financial — is the compass Vogel said she would use to lead Pitt’s students. 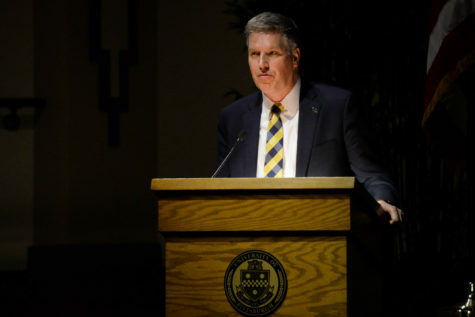 Like Bonner in his interview on Tuesday, Vogel addressed the high cost of tuition, specifically at Pitt, and said the dean of students must work to show students the price tag is worth it. 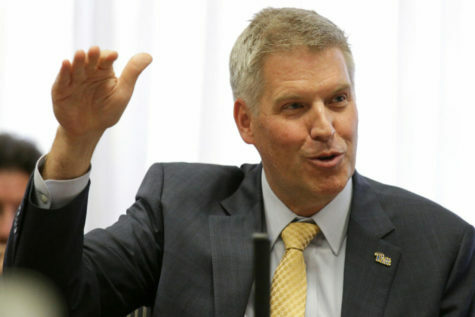 Vogel noted the Princeton Review and Kiplinger’s Personal Finance rankings that label Pitt — despite its status as the second most expensive public school in the country — a top-value school. On other issues, such as sexual assault, Vogel said tweaks to language and organizational structure can improve student life. As dean, Vogel said she would work to increase victim advocacy resources and expand such resources to include victims of all violent crimes, including muggings and robberies. Having a campus resource that can help students cancel their credit cards and renew their driver’s licenses if they get mugged is just as important, Vogel said, as making sure victims of sexual assault receive the medical and emotional support they need. 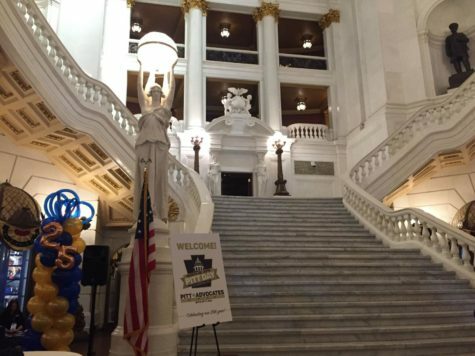 Jack Heidecker, a member of Student Government Board who attended the interview, said Vogel’s adeptness at discussing Pitt and her goals helped her stand out. “We want someone who works well with students and understands their needs and action items that can make the student experience better,” Heidecker said. 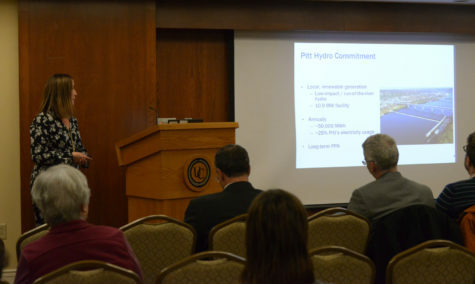 In her interview, Vogel made clear she has researched Pitt, and emphasized the position’s potential to collaborate with other faculty and staff. Robin Kear, a liaison librarian in Hillman Library who attended Bonner’s interview on Tuesday and Vogel’s interview on Wednesday, said she can see why both would make good deans. 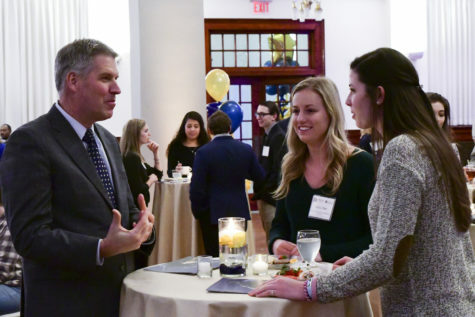 “There are great advantages to an internal candidate and their knowledge of Pitt, but there can be advantages to a fresh face,” Kear said. 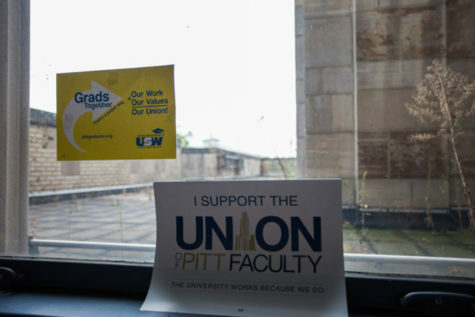 At Pitt, which is about 70 percent undergraduate to 30 percent graduate students, Vogel said the dean of students should work to establish herself as the dean of both levels of students, not just undergraduates. When a dean launches various programs, especially programs related to safety, Vogel said, she should include both groups of students.